Getting There: Strawberry Meadows/College Park is flanked by Rose Avenue, PCH and Channel Islands Blvd. Onsite parking is $10. 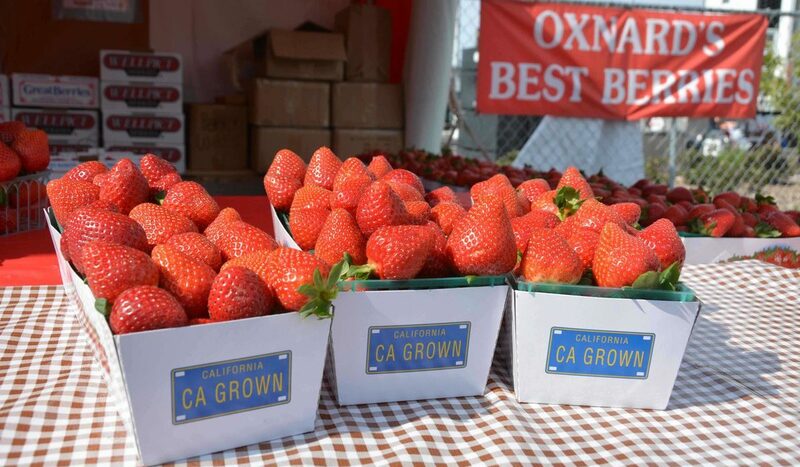 Oxnard is the perfect location to host the California Strawberry Festival. 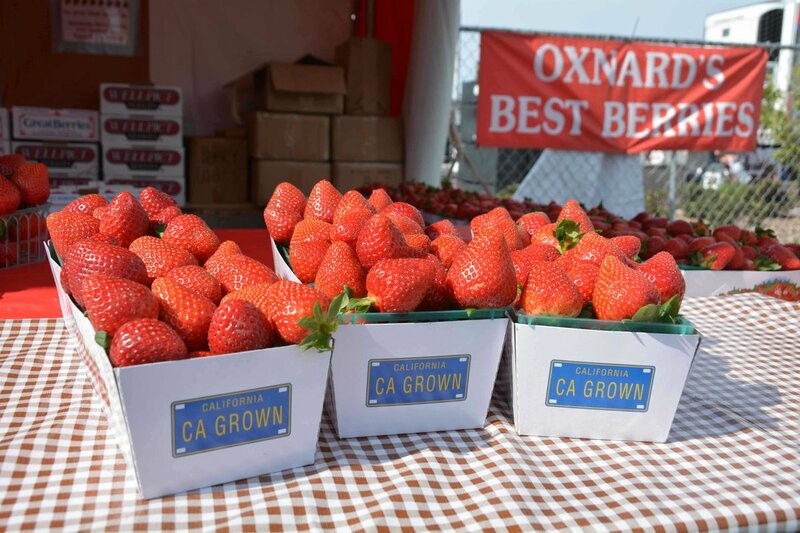 Ventura County's Oxnard Plain, with its unique coastal environment of ocean exposure and year-round moderate temperatures, is ideal for growing the luscious fruit. 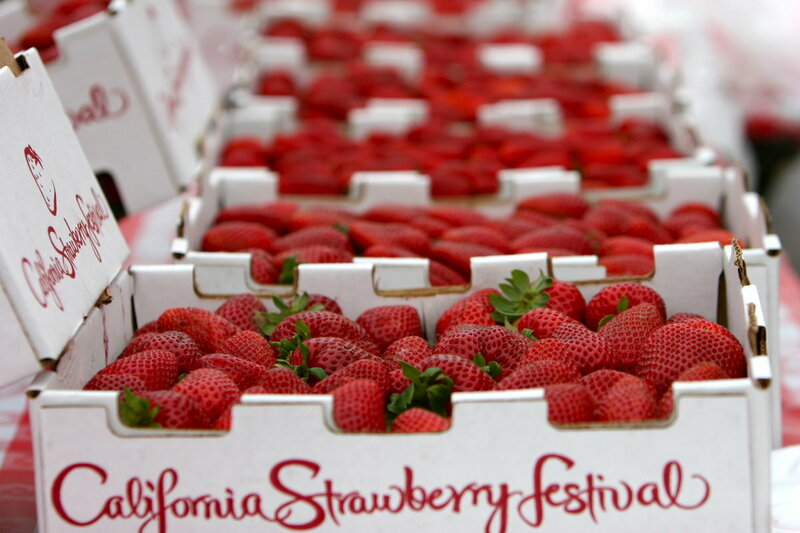 Strawberries are Ventura County's largest crop, generating over $655 million in value a year. 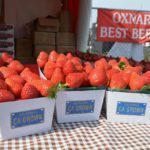 Strawberries, strawberries, strawberries. 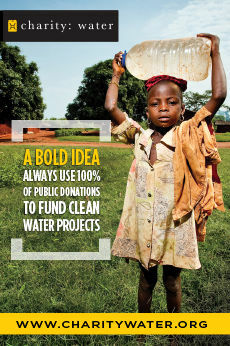 According to the U.S. Dept. 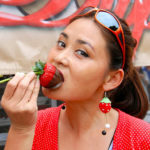 of Agriculture, Americans eat an average of three-and-a-half pounds of fresh strawberries each per year. 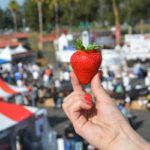 The California Strawberry Festival helps bump up those numbers—an estimated 1.5 million strawberries will be consumed during the two-day festival. 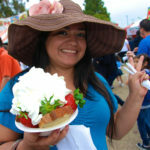 All of the event's 50 food vendors are required to provide at least one strawberry-related item for sale at their booth. 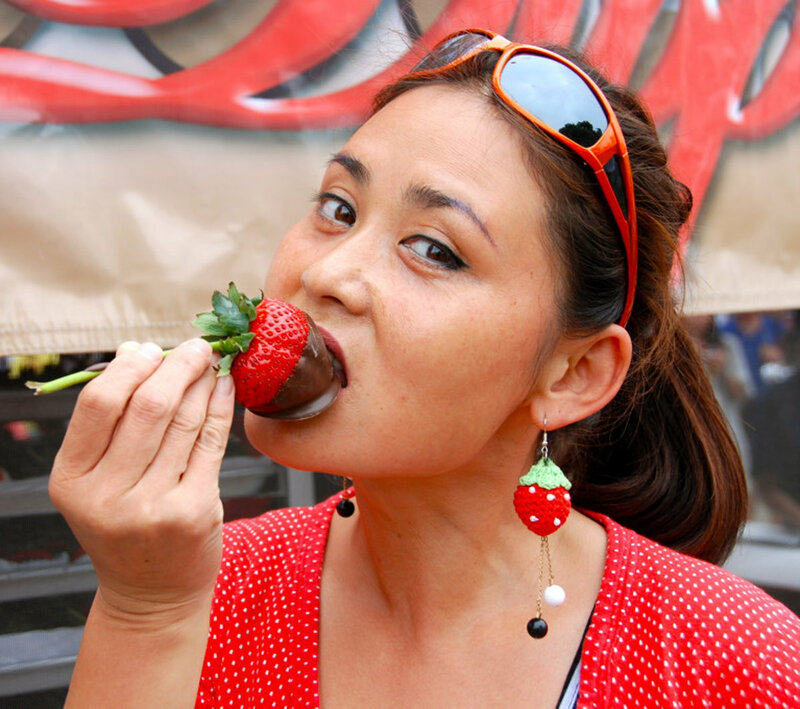 That means there is a tasty strawberry delight for everyone just waiting to be tried. 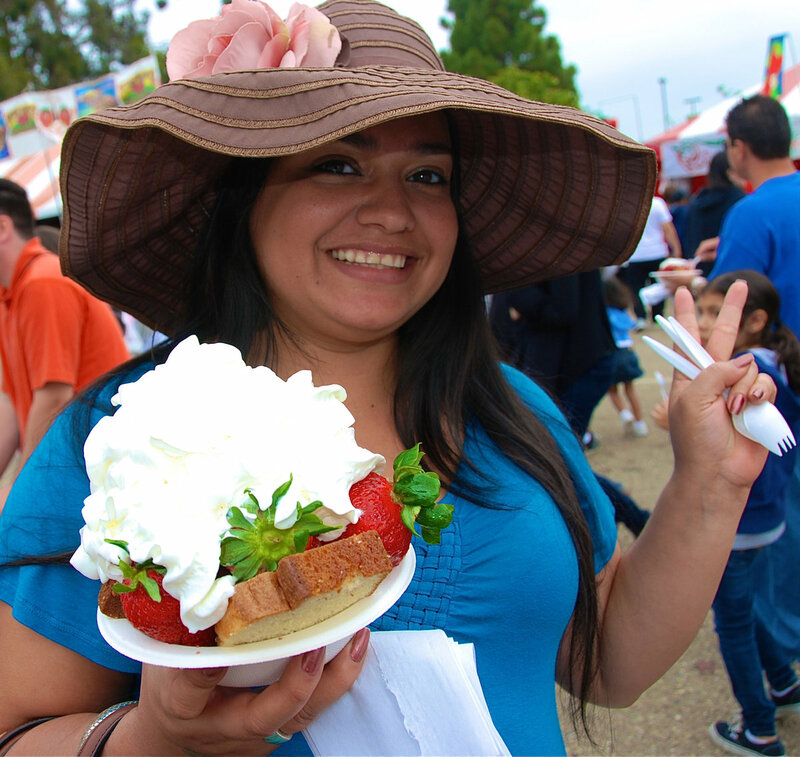 Desserts, main courses and thirst-quenching delights, such as beer, margaritas and smoothies are served at the festival. 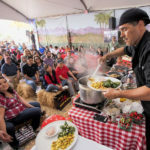 Some of the most unusual dishes are strawberry nachos, strawberry chimichangas, deep-fried strawberries, berry kabobs, strawberry tamales and strawberry popcorn. 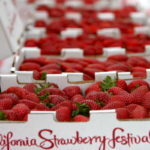 Just-picked strawberries, directly from local fields, are also available. 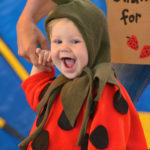 Strawberryland is a special part of the festival designed just for kids. 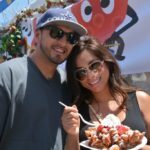 It offers loads of childhood fun with puppet and magic shows, live animal acts, carnival rides ($1), bounce houses and climbing walls. 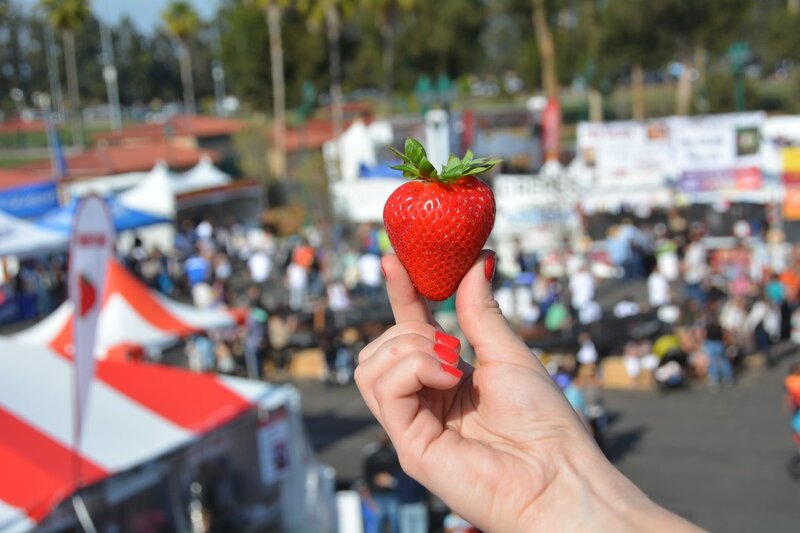 Strawberry Promenade is a tented area packed with cooking demonstrations both days and a Berry Blast Off Recipe Contest Championship on Saturday. Festival contests get everyone into the act. 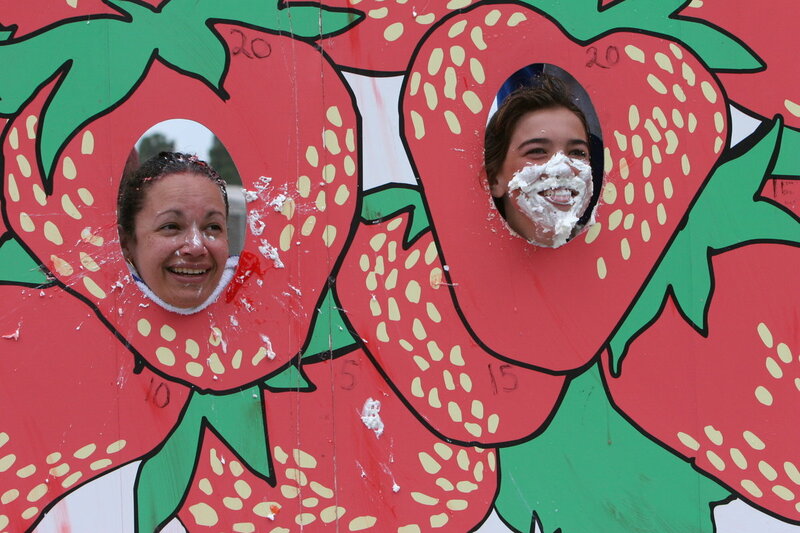 Festivalgoers can sign up for the Strawberry Pie Eating Contest, gooey Tart Toss and the timed Strawberry Relay Race (teams attempt to go through a series of obstacles to assemble and eat a strawberry creation in the fastest time). 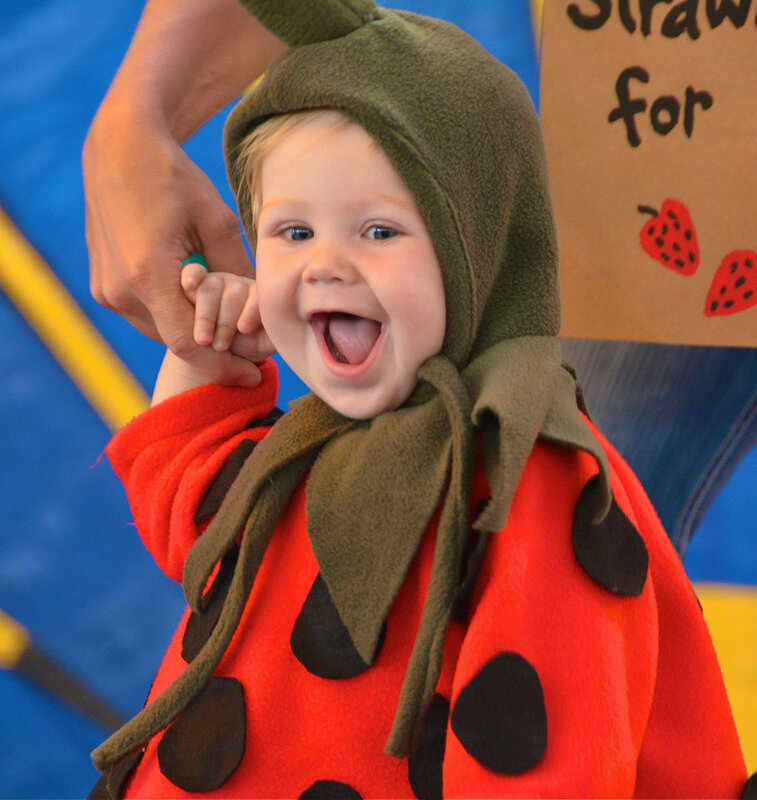 The Berry Best Hat Contest takes place in the Strawberry Promenade while the Berry Best Dressed Baby Contest is in Strawberryland. 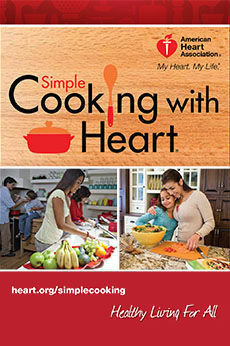 There is no charge to enter and winners all receive prizes. Live Concerts are on three stages and included in the admission price. The medley of music offers something for every musical taste. Arts & Crafts Showcase highlights the talents of 200 artists who specialize in paintings, sculpture, ceramics, jewelry, specialty foods, furniture, children's toys, photography and more. Artists are on hand to visit with festival guests and often personalize gifts. 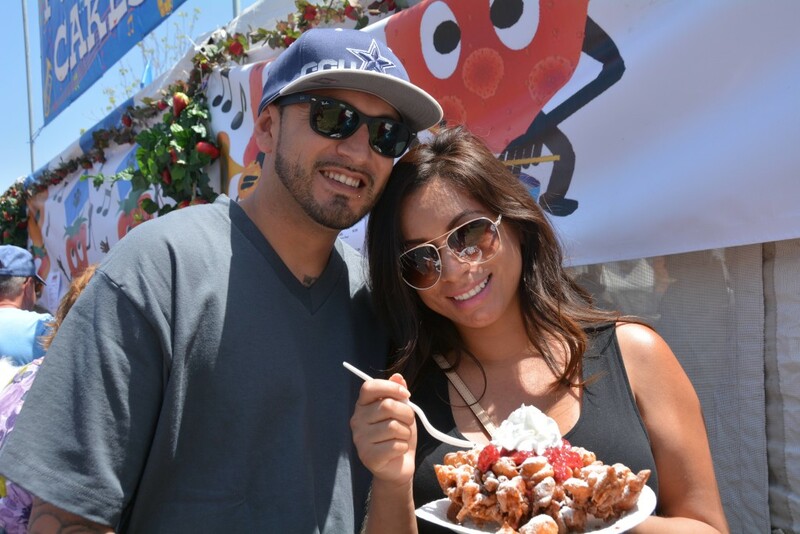 The two-day festival attracts almost 60,000 visitors each year from throughout California. 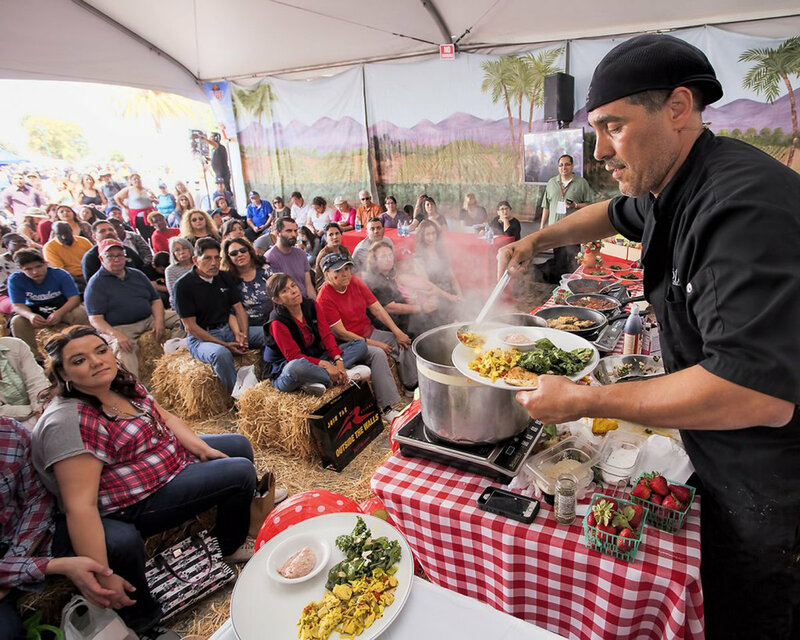 Since its inception, the California Strawberry Festival has contributed over $4.65 million to more than 30 charitable organizations and funded scholarships to children of migrant farm workers.